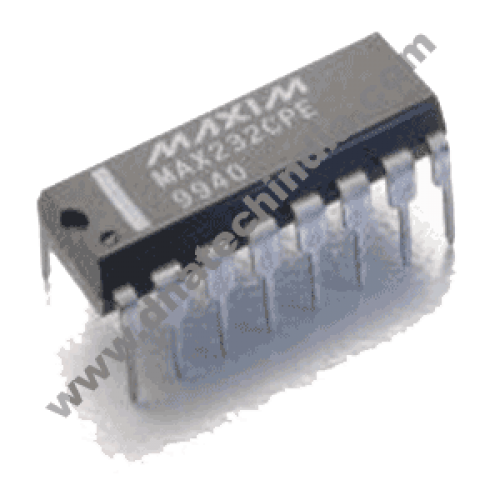 MAX232 is a communication IC. 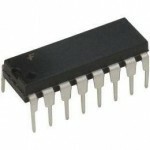 It is used to convert TTL Signals to RS232 Signal and vice versa. MAX232 provides RS-232 voltage level outputs (approx. ± 7.5 V) from a single + 5 V supply via on-chip charge pumps and external capacitors. This makes it useful for implementing RS-232 in devices that otherwise do not need any voltages outside the 0 V to + 5 V range, as power supply design does not need to be made more complicated just for driving the RS-232 in this case. 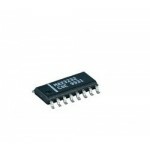 The receivers reduce RS-232 inputs (which may be as high as ± 25 V), to standard 5 V TTL levels. These receivers have a typical threshold of 1.3 V, and a typical hysteresis of 0.5 V.
MAX3232 RS-232 Line DriverThe MAX3232 device consists of two line drivers, two line receivers, and a..
MAX3232-SMD RS-232 Line DriverMAX3232 is a TTL to RS232 converter and is used in place of MAX232 in ..